Cloaking Device. 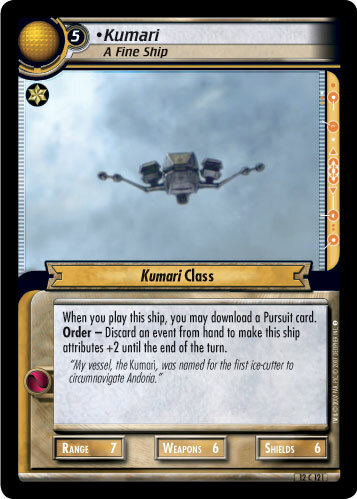 To play this ship, you must command two personnel. 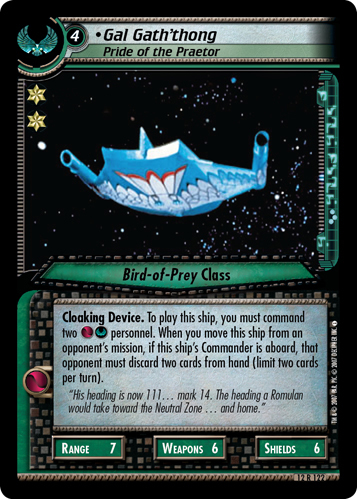 When you move this ship from an opponent's mission, if this ship's Commander is aboard, that opponent must discard two cards from hand (limit two cards per turn). "His heading is now 111... mark 14. 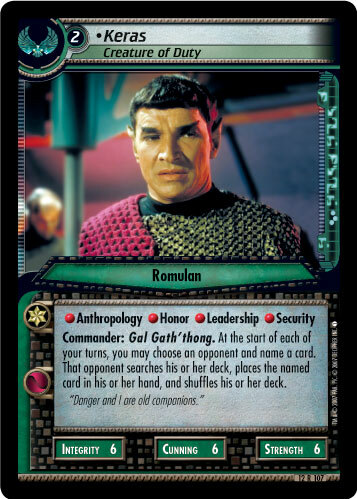 The heading a Romulan would take toward the Neutral Zone... and home."